It is possible to live without the plastic that leaches into everything around us. Many people, especially those with young children, are becoming increasingly concerned about the potential health effects of all the plastic we are exposed to every day. There are many ways to avoid the use of plastic in the home, especially in the kitchen, and you can exercise your creative mind in thinking up new ways. You might begin by eliminating plastic shopping bags; simply take your own paper or fabric bags with you. Look for milk that comes in glass bottles that are returnable for reuse, use stainless steel containers for lunch boxes and find stainless steel ice cube molds for the freezer. Modern clothing is commonly made of plastic; nylon, polyester, Lycra and acrylic are some of the names of products best avoided for the sake of your health. Even cotton is fabric not favored by purists because of the pesticides commonly used in growing it. Consider then the multiple benefits of clothing made from organic, eco-friendly bamboo. Bamboo is a fast-growing plant, a grass that can develop up to 1 meter daily, needs little water, no pesticides and can produce a good deal more per acre than cotton. Indeed, bamboo is often considered a pest and invasive species of plant, so finding ways to consume it usefully can really be of great benefit. Bamboo fabric feels soft and silky. Many people newly introduced to it liken its feel to that of cashmere. The softness is due to the pectin content, which makes bamboo clothing especially suitable for the delicate skin of young children and babies. Bamboo diapers are beneficial because the fabric is hypoallergenic, antibacterial and absorbent. The bamboo plant contains an antimicrobial substance that makes it resistant to fungus and repellent to bacteria. Bamboo clothing is also resistant to microbes. It is suitable for sportswear, as the garment may be worn for a longer time without becoming offensively smelly. The fabric also appeals to sportsmen with its ability to absorb moisture. For those people who suffer from allergies and skin sensitivity, bamboo clothing is the answer, being least likely to provoke a reaction on account of its anti-fungal and absorbent properties. Clothing made from bamboo fabric is able to keep you warm in cold weather and also because it can “breathe”, the wearer is cooler in hot climates and clothing doesn't cling and stick to the skin. 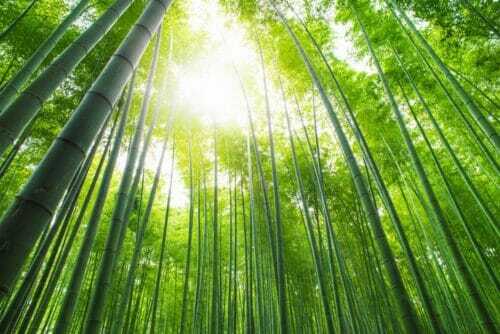 There are great benefits for sportspeople who choose bamboo over the ubiquitous plastic fabrics, and we should make an effort to be mindful in our choices. We can all benefit from the soft elasticity of bamboo, as it is made into many styles of clothing including underwear and socks. 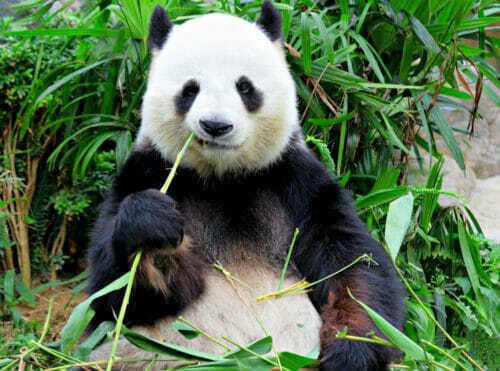 Bamboo grows in most parts of the world, is sustainable, fast-growing and has a low environmental impact. It is a good deal more than preferred food of the panda; for the good of our precious planet we should be making conscious choices and rejecting plastic. Eco-friendly bamboo is the natural choice. Today there are more and more companies producing bamboo organically and using processes that do not incorporate harmful bleaches. To turn the plant material into a fabric, factories use one of two methods. The first involves crushing the plant mechanically which turns the fibers into a sort of mush and then employing enzymes to break down and separate the fibers so they can be spun into yarn. The end fabric looks a lot like linen and is often referred to as “bamboo linen”. This process tends to be pretty labor intensive so it can be more expensive. The second method involves chemical solvents including sodium hydroxide (aka caustic soda) and carbon disulfide. While only used in a small part of the process, these chemicals can be harmful to human health as well as to aquatic life of the effluent is not disposed of properly. 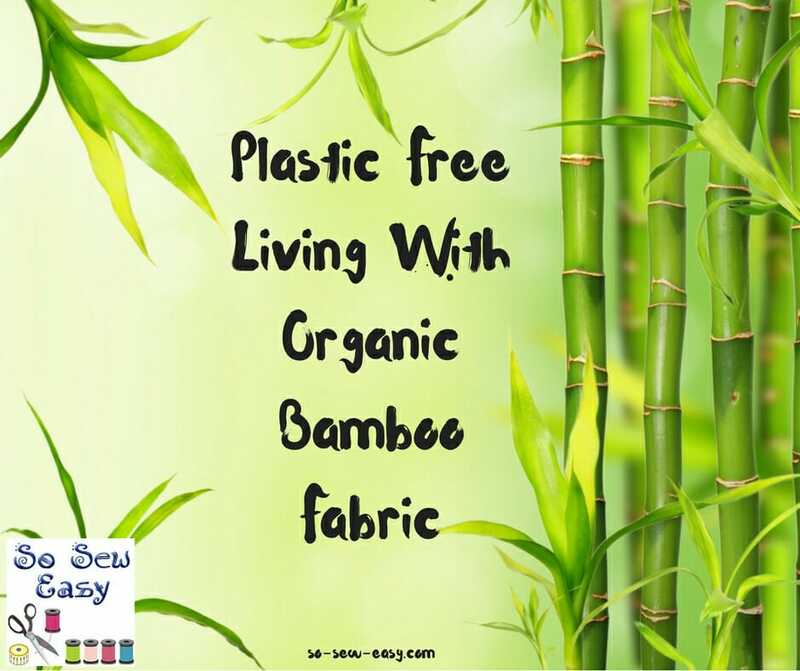 Organic bamboo fabric is almost exclusively produced using the first, mechanical method which is much less potentially harmful to the environment. It's taken some time, but you're finally starting to see beautiful organic bamboo fabrics being offered through mainstream retailers like Amazon. Here are a couple of the attractive (and healthy) bamboo fabrics I've found there. You may want to give them a try in your next project. The 300 GSM Bamboo Fleece Fabric would be a terrific option for either the Hoodie or Sweatpants projects that we recently featured on the site. Bamboo is NOT environmentally friendly when used for fabric. It is processed using LOTS of chemicals to change it from woody fibres to soft fabric. Yes maybe a LITTLE better than plastics because it does break down, but it’s time the world changed to using flax and hemp for clothes. Bamboo is EXCELLENT as a replacement for wood in building materials but not for fabric. I like the idea of all these materials. The big questions is, are they going to make it affordable for all or for only the rich? I would love to buy and use this fabric for many things. The price though is out of my range. I know if more people buy, the price will come down but I feel it is going g to have to come down for the majority of us to buy. Yes, it is the right thing to do, using this fabric. 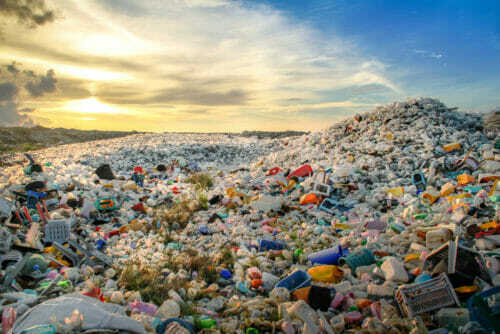 There is way to much plastic in this world and everyone needs to be concerned especially the governments. They are the ones who can make things happen. I know parts, if not all of Africa has banned plastic bags. They are on the right track. Please keep us posted on any other new ideas fabric come that along. Much bamboo shrinks. The fleece however stretches like mad. Once people start buying bamboo fabrics, the price will probably come down a lot. I like its drape. We have bamboo dishes and they’re a lot sturdier than their plastic predecessors, even with the kids. I like the”feel” of bamboo fabric in our (only) fabric store. It was not very wide and would have haken 2.5 to 3 metres to make long sleeve jacket, shirt, dress. The cost would have been about $90 (cdn). It would have to be something special to justify the cost. The fabric is lovely, but outside my price range. I also love the look of bamboo flooring. The “wood” is very dense and strong, too. Really interesting. I’ve knitted bamboo yarn but didn’t realise that bamboo fabric exists.